AHD (Analog High Definition) addresses the primary issues that remain unresolved when it comes to the HD camera types. 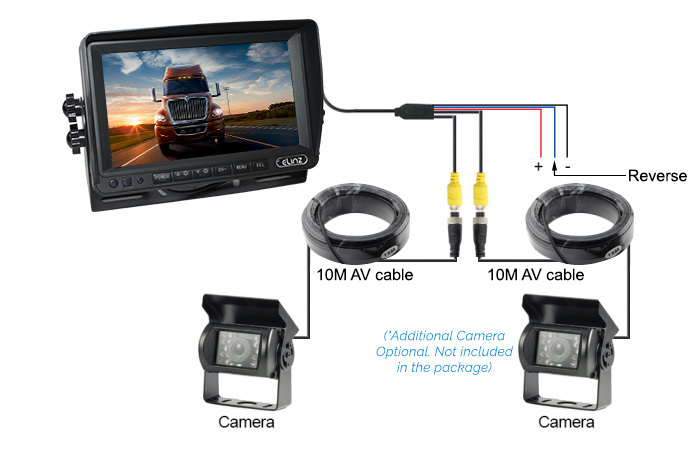 It utilises a 4-pin cable in order to transmit the HD quality video from an AHD Camera to an AHD monitor with a much better non-distorted and anti-interference transferring of signal for bigger or larger vehicles such as trailers, buses, trucks, campers and RVs, among others. This kind of technology supports various video resolutions. The 7" AHD Monitor is features-filled. Its screen has a size enough for one to see very clearly, images and videos. This monitor has a high resolution too, that offers convenient viewing. Typically, this kind of product has unique buttons that can be controlled by just one touch. The best thing about it is that, it typically produces a digital high resolution picture. This then means whatever is captured or recorded can be seen or viewed crystal clear. Not only that, control of the monitor is just one-touch so it is so easy to operate. 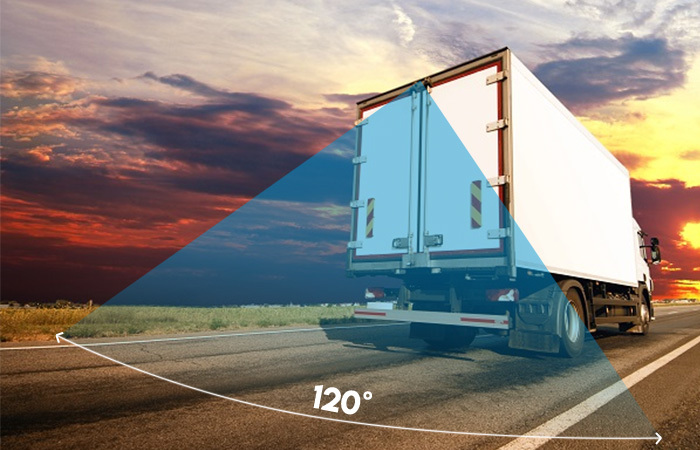 The 120 Degree Wide Angle Viewing feature of this device allows the user to clearly see everything that has been recorded and captured from different angles. Truly an impressive product, this camera features a 120° viewing angle that has a 6-layered all-glass lens that's so ideal for checking what's not seen when using the vehicle's mirrors. And when reversing, this tech gadget for the vehicle uses all-glass material. 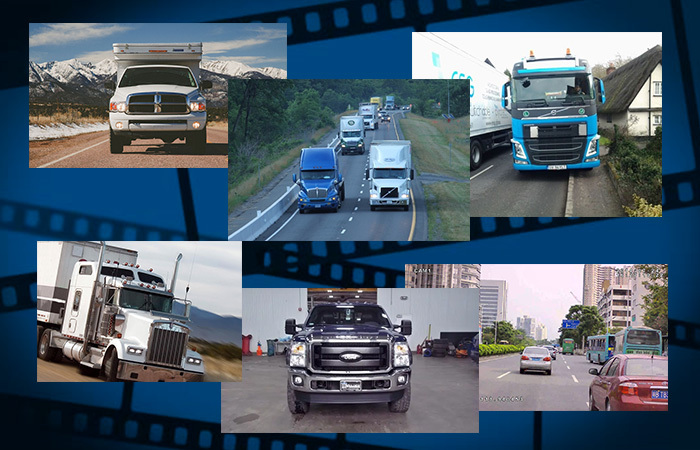 The wide angle viewing is one of the best qualities of the AHD camera, making it a bestseller among many vehicle owners and drivers today. This product features 2 CH High Definition Video Input. Meaning, it can be connected to up to two AHD cameras that have single image display offering a better and clearer viewing experience. The best thing about having a two-channel HD video input for a device like this is that, the user can switch from either camera one (1) or camera two (2) by simply pressing the CH button. More so, it also automatically switches the camera when reversing. Having a two-channel feature is effortless. You need not be a tech savvy to switch from one camera to the other. The AHD Camera is a heavy-duty AHD camera. It boasts of impressive features like the CCD Sensor that has 18 pieces of Infrared (IR) LED lights that offer a perfect view most especially when there is low lighting system in the vehicle. The LED lights even perform their best on the darkest night to ensure safety during travel. This feature is exactly what an individual needs especially if he is the driver. The sensor with eco-friendly lights are like travel companions or traffic enforcers that can warn one (as the driver) when something strange or any untoward incident is happening outside the vehicle. You are one lucky person if you own the AHD Camera system. It has a DVR recording feature that allows you to record everything outside and around your vehicle. What's good about this feature is that, it supports up to a 32-GB SD card. Meaning, you don't have to worry about not being able to capture and record everything--all the important details of a road incident that is so important to you. Since there is an external memory for extended capacity, you can be sure that all of your recordings are automatically saved for playbacks later on. You can record one camera at a time and you can still view both cameras on the monitor by pressing CH button. Video recording does not support audio. Since the tech gadgets are frequently used, they need ventilation to prevent the occurrence of overheating, burning or even exploding. That's what the built-in ventilation is invented for--to prevent the device from experiencing such an unavoidable incident. The AHD's built-in ventilating system is a perfect timing. This offers fresh air's continuous through-flow, heated if needed. U Shape bracket allows you to tilt or rotate the monitor on the desired position to have a better view of the displayed image. 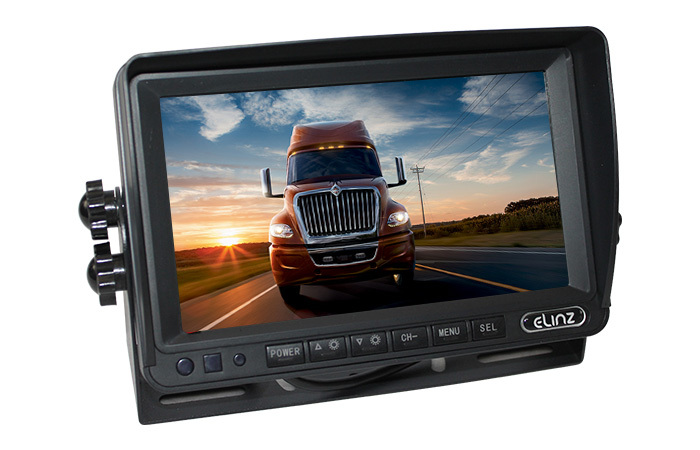 It allows monitor to be mount on the dash or roof of truck/caravan/car or anywhere that you find suitable. With a detachable sunshade or sun visor to keep the sun off the monitor and avoid sun light to glare on the image or video display. It gives you a clearer vision on the monitor during daytime. You can easily detach the sunshade if desired. Safety and security not just for drivers but also for pedestrians and people around, that is what a reversing camera monitor kit can provide you. Introducing the NEW 7” AHD monitor that uses 4PIN cable to transmit HD video from AHD camera to a AHD monitor with anti-interference and non-distorted images. 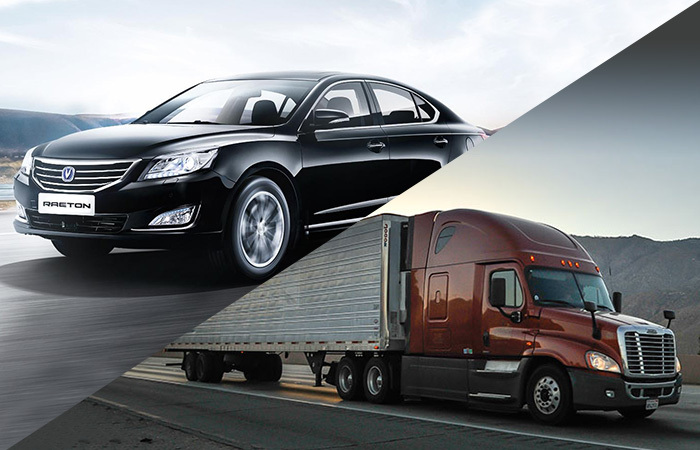 A reverse camera system can help you reduce blind spots and have a safer driving. 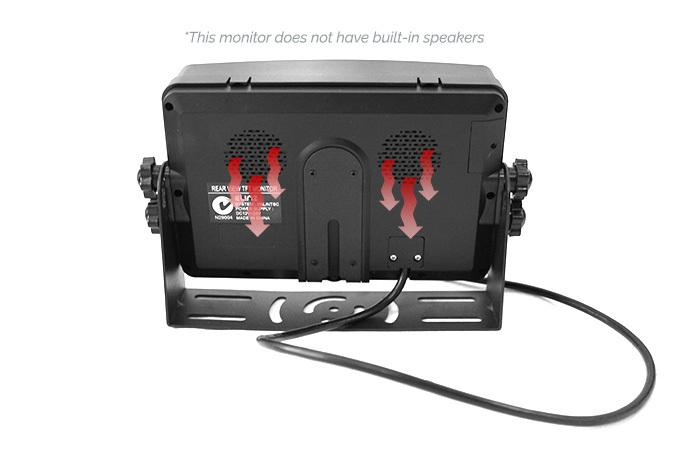 You can conveniently install the monitor with the U-shape bracket aside from that it comes with a detachable sunshade design. There’s more that makes this on top in the market, with 120 degree wide viewing angle, CCD sensor that provides a perfect view even day and night and IP68 waterproof & shockproof. With 2 channel video input, you can add up another AHD camera. Analog High Definition(AHD) crystal clear screen that can provide more vivid, sharper and brighter display. The advanced algorithms detect even the subtlest shades providing the best vibrant color possible. This AHD Monitor kit and camera system supports 720P HD video resolutions. 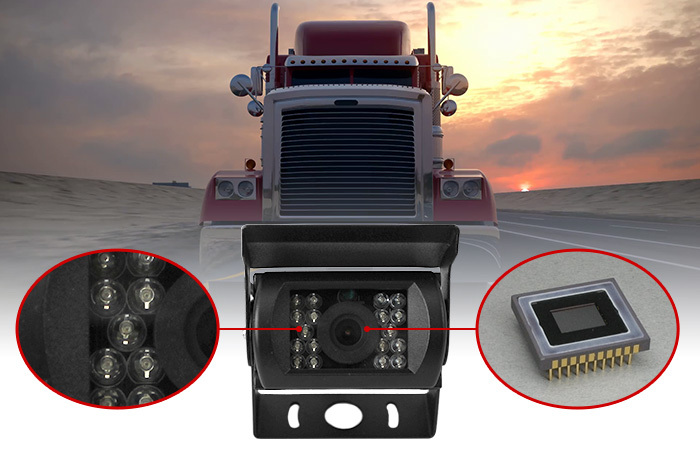 AHD Camera features CCD Sensor with 18pcs IR LED lights providing a perfect view when the light is low or even on darkest night (black and white) to guarantee safe driving. With DVR recording, it supports up to 32GB SD card (SD card not included) and automatically saves video recordings. With DVR you can be sure that all of your recordings are automatically saved for playbacks later on. 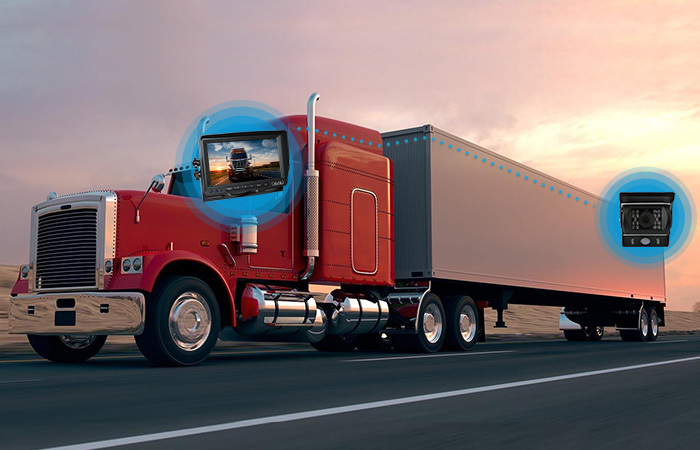 Reversing camera system aims to give you a better view when driving and provides a safer driving experience. High Definition crystal clear screen that can provide more vivid, sharper and brighter display. The advanced algorithms detect even the subtlest shades providing the best vibrant color possible. This AHD Monitor kit and camera system supports 720P HD video resolutions. 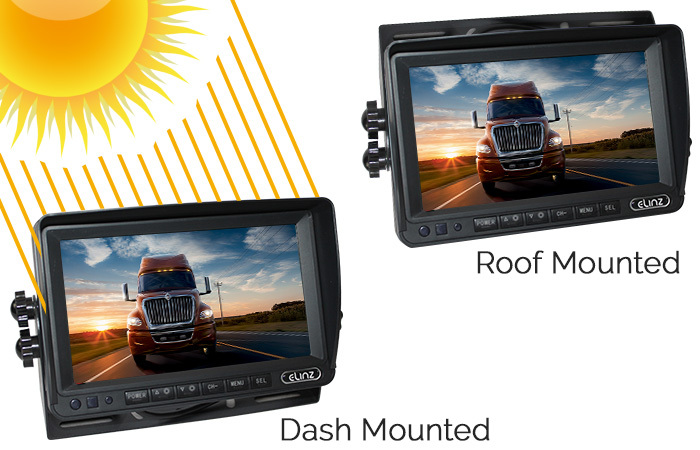 This mount allows the monitor to tilt up and down and can be attached to the dash or hung from the roof of a vehicle and comes with detachable sunshade. 12V-36V DC Operating Voltage - Designed for Truck and Trailers for additional safety and convenience.